Homeowners want mature trees for the shade and beauty offered, but what happens when that big tree growing next to your house becomes a major issue? Consider these large tree removal tips that address this specific, and sometimes conflicting, challenge. Planting trees too close to your house is generally a bad idea. Branches grow up and out, blocking natural light, making a mess in your gutters and potentially damaging the exterior of our house. And that’s only the dangers visible above ground level. Depending on the type of tree, mature roots can also damage your house foundation, sewer and septic lines and other services buried nearby. All of these issues make large tree removal a necessity in certain cases. 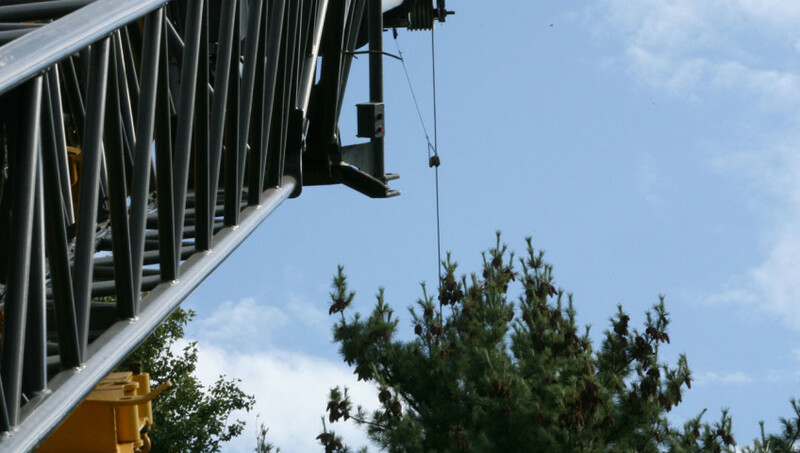 But proximity to your house might make it dangerous or impossible to use a standard crane. Perhaps access is a problem, or the services located nearby cannot be disturbed without major damage. Talk to your local large tree removal specialist about the smartest plan of attack in your specific situation. Budget for more than a standard tree removal. This type of project requires more hands-on work, trimming branches and basically disassembling the tree in manageable sections. Depending on the job specifics, removal may also take much longer and dealing with the large tree roots and/or stump could require multiple visits. Costs vary from property to property, and tree to tree, but you should expect to pay more for the removal of a large tree close to the house. Inspect the house carefully once the tree has been removed. You might need to consider repairs to the foundation, sewer lines or other parts of the building affected by the tree growth. Settling does happen after large tree removal, as the ground stump rots or dirt shifts, but it’s wise to find out the condition of your property post-removal. Large tree removal may be your only option for that big tree growing next to your house. Approach the project with these tips and the help of an experienced tree removal company and everything will turn out fine.